Drone Protection Service Plan - Protect Your Drone - 3 Months FREE! You found your way here because you are interested in a CPS drone protection plan. Smart move! A Drone Protection Plan is a Necessity! – If you’re using drones professionally or for fun, then you’re probably aware that accidents happen. If for any reason your device sustains impact or liquid damage – rest assured – you are covered with CPS! Having a full drone warranty plan gives you total peace of mind, knowing that you’re covered by the best in the business. The CPS Accidental Drone Warranty covers full parts and labor on all internal hardware failure, as well as the extra added benefit of Accidental Damage Protection. This contract is specifically for drones used recreationally (consumer use only). Deductible applies at time of claim. 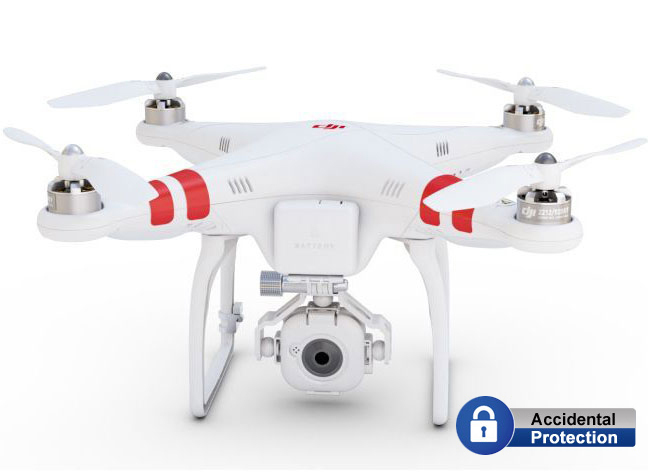 The CPS Accidental Drone Warranty coverage begins on the end user’s date of purchase. For example, if the customer purchase a Drone with a 2 year CPS plan, they will receive 2 total years from date of purchase. There is a 30 days claims hold to prevent DOAs or manufacturer defects, and CPS coverage will begin on day 31. Any claims that occur during that first 30 days would not be covered under this plan.